The SW201 has been designed for direct current loads, including motors as used on electric vehicles such as industrial trucks. Developed for both interrupted and uninterrupted loads, the SW201 is suitable for switching Resistive, Capacitive and Inductive loads. The SW201 features single pole double throw, double breaking main contacts with silver alloy tips, which are weld resistant, hard wearing and have excellent conductivity. The SW201 has M10 stud main terminals and 6.3mm spade coil connections. It can be mounted via M5 tapped holes or mounting brackets – either supplied fitted, or as separate items. Mounting can be horizontal or vertical, when vertical the M10 contact studs should point upwards. 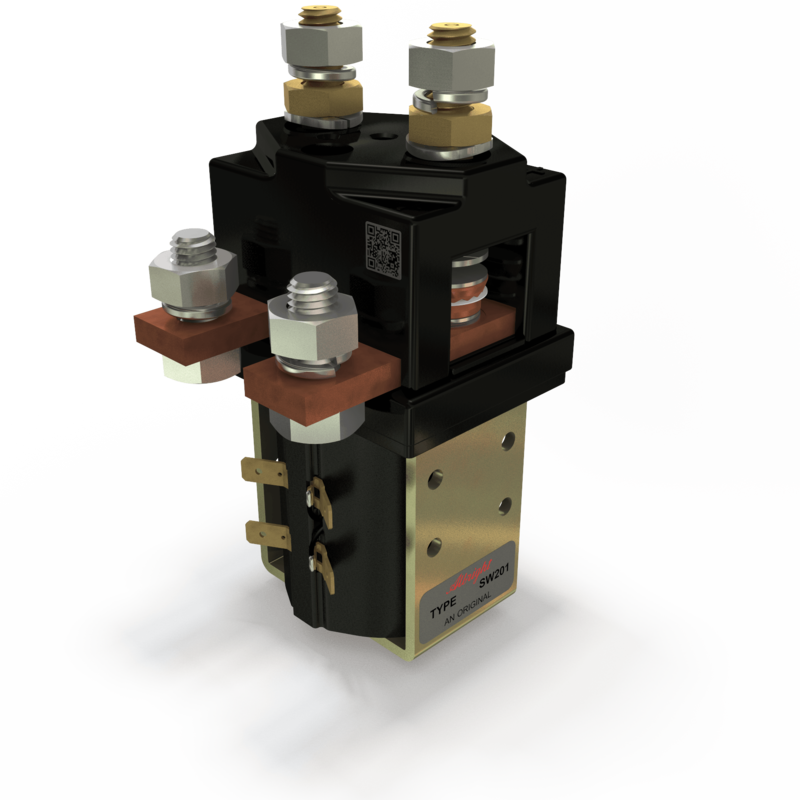 If the requirement is for downwards orientation we can adjust the contactor to compensate for this. Please note Normally Closed contacts are not suited to make and break load.